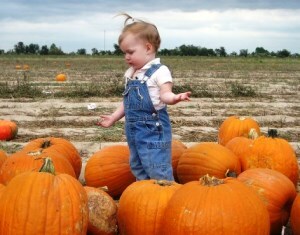 US: Best-Rated Fall Festivals & Corn Mazes for Family Fun – Daytrips and Agri-Adventures with Kids. Whether it’s a daytrip or a weekend escape, enjoying time together and making family memories matters. Fun, quick, and easy is the magic phrase for families. 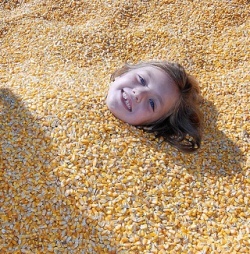 We have highlighted 12 of the best corn mazes and fall festivals in North America. The Texas Maze at Dewberry Farm near Houston is perhaps one of the best agri-adventures in the country. The eight-acre interactive corn maze includes dozens of “cornundrums” and a corn-cierge to facilitate the fun. See honey bees at work and add to that corn cannons, singing chickens, rubber duckie races, calf roping, and zip lining over the field. Dell’Osso Family Farm Corn Maze near Lathrop, California creates a corn maze large enough to be viewed by NASA from orbit. Along with the maze challenge they run a pumpkin tram, have pumpkin blasters, tire pyramid, lively hayrides, zip lining, aerial ropes course, and a plank plunge. One of the world’s largest corn mazes is at Richardson Adventure Farm in Spring Grove north of Chicago near the Wisconsin state line. Agri-entertainment activities include slides, pedal trikes, a 50-foot high viewing tower, zip lining, and a zorbing adventure inside an 11-foot orb. Sever’s Corn Maze not far from the Twin Cities has an exotic petting zoo with animals from around the world including lemurs and camels, and kangaroos. Gaeddert Farms Corn Maze in Kansas offers visitors a tire mountain and tire tunnel, pumpkin bowling, pumpkin cannons, corn cannons. To navigate the maze at Liberty Ridge Farm, Schaghticoke, NY visitors use corn texting for clues. Well-placed “CORNnundrums” make things more fun and interesting plus they have night scrambles. Hubb’s Corn Maze near Clinton NC has laser tag, a giant tire jungle, and steer roping. In Julian, CA the annual Julian Mining Company Fall Celebration includes apple cider making, candle dipping, tomahawk throwing, square dancing, fossil digs, and gold panning. The Great Maze in Danville, VT is the home of barnyard golf, 100′ of underground tunnels, and laser tag. Become a fan of Family Travel Files on Facebook and keep up with the latest family vacation news or follow Family Travel Files Blog and give us feedback as news is posted. Images provided Longwood Gardens, PA. Sometimes things change, so please confirm details before making plans. Copyright 2013.